Here's my card for the current Fitztown Challenge #9 - Pearls and Lace/Ribbon. I've used one of Morgan Fitzsimons images from Fitztown. If you are unable to find the image in the store and you're interested in it, you can email sales@Fitztown.com with a link to the image and someone can help locate the image for you. I've used Copic markers to color the image. 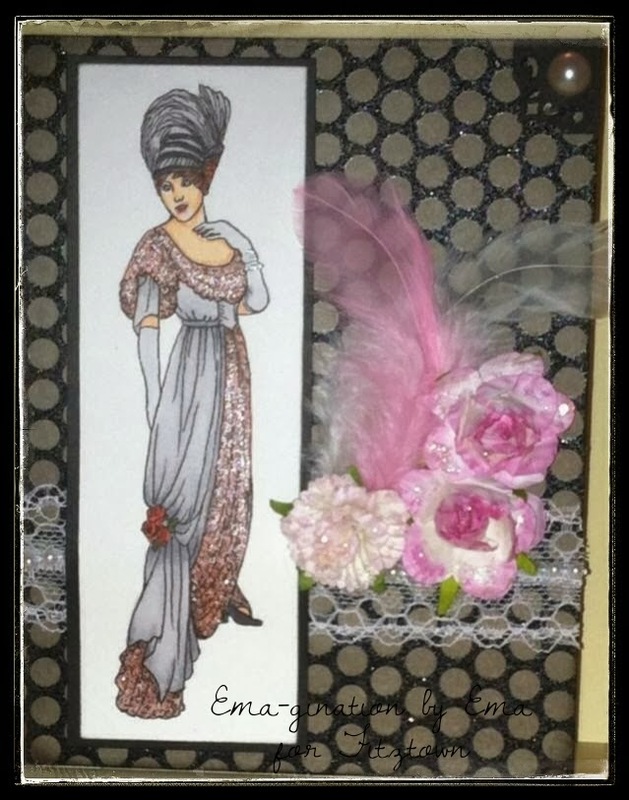 The flowers, lace ribbon, pearls and feathers are from my stash. The BG paper is from DCWV's Lemon Flower Stack. I dabbed Stickles in Crystal on the flowers to make them shimmer. 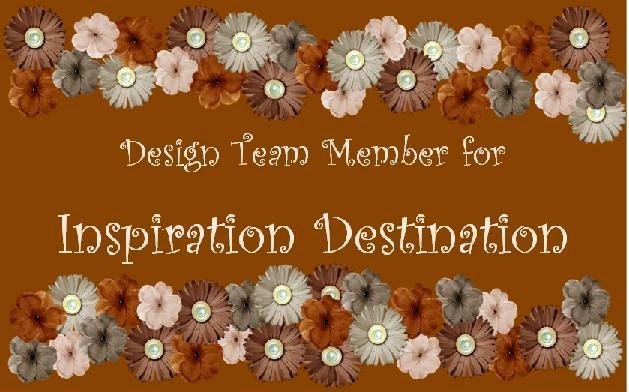 I am a follower of these blogs and I have the badges displayed here. There's still a few days to join in on the challenge at Fitztown! We'd love to see what you can come up with! So elegant. Love the chic flowers. Your card is adorable, steeped in old time! You know, Ema! I totally LOVE this card! Fabulous colors fit together perfectly and those flowers and feathers look gorgeous! !